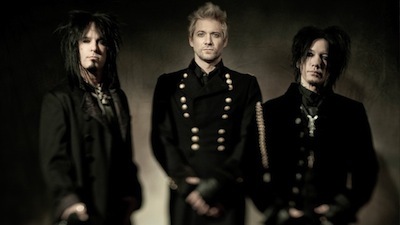 Sixx: A.M. are streaming a couple of more songs (Stars and Let’s Go) from their forthcoming album, Modern Vintage. Listen to them below. To listen to Sixx: A.M.’s Gotta Get It Right and to learn more about Modern Vintage, please, click here. Wish we could get 1 more Crue record first!! Sounds good so far! Lets Go has a little White Trash Circus vibe to it. Ok will admit went to listen to both songs and like the instruments in background but dont like James Michael’s voice. Really didn’t like what I heard, sorry Sixx:AM I like Nikki but guess only with Crue, sorry Nikki.